One of these glass substrates--which are the world’s largest--would cover the floor of a nine-square-meter room. 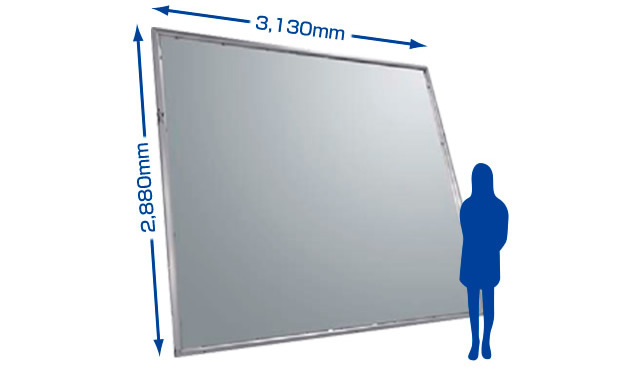 Eight 60-inch displays or six 70-inch displays can be produced from a single substrate. By effectively manufacturing large-screen LCDs, we can maximize our advantage in making 60-inch-and-larger LCDs. 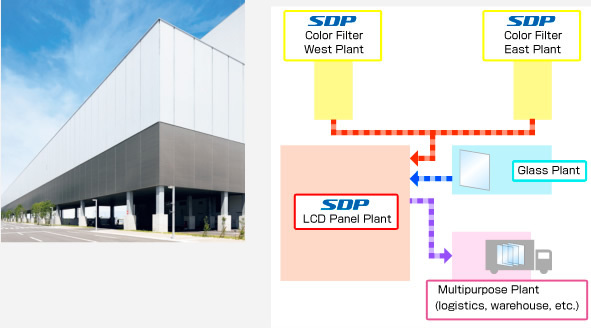 SDP is the first company to make LCDs from G10 glass substrates--a new chapter in the story of large-screen LCDs. The state-of-the-art factory using G10 technology is still the only one of its kind in the world. To manufacture LCD panels using these massive G10 glass substrates, our LCD panel plant is 360 meters wide across the front and 400 meters deep. 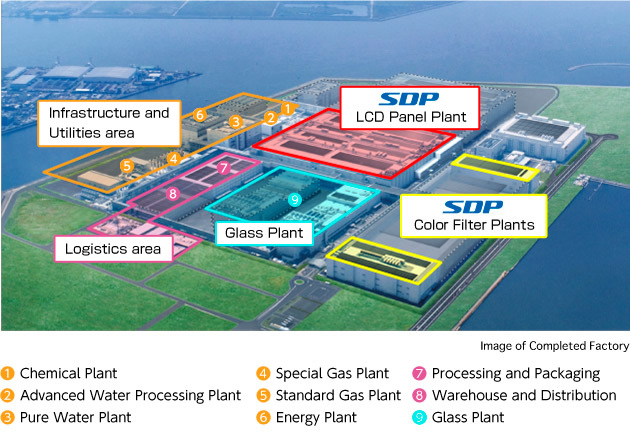 The plant can yield 72,000 glass substrates per month, and it has a production capacity equivalent to approximately 570,000 60-inch LCDs per month. Color filters, a key component of LCD panels, are manufactured in-house in two plants. These plants do more than just provide high-quality, cost-efficient products; they also continue to develop products with new functions and greater performance. 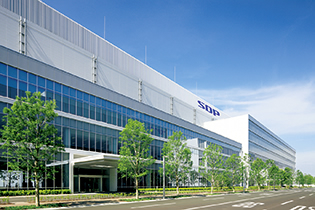 SDP is located in the same industrial park as extremely advanced companies that deal in materials (glass, liquid chemicals), energy (electricity, gas, water), and other fields. We all work together like one big factory. This synergy helps us realize maximum efficiency in manufacturing. The related plants are linked like arteries, so that materials can be transported between plants using minimal time and energy. The transport paths total approximately 1.9 kilometers (1.2 miles) in length and are much more efficient than trucks at delivering the large, thin G10 glass substrates. Using this transport system contributes to the efficient manufacture of large-screen LCDs.